The list of all delinquent accounts for real property tax can be checked at the City Hall. 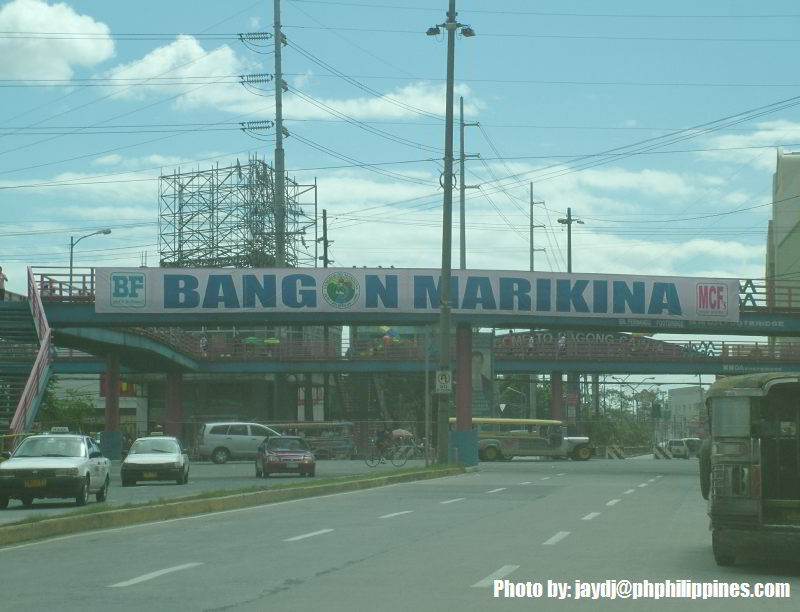 A printed list for all 15 barangays of Marikina is posted at the bulletin board in front of the cashier. Check out the folder of your respective barangay for the full list. 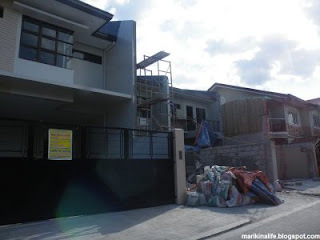 Typhoon Ondoy has destoryed several belongings of Marikina residents from the floods. SSS Village residents have cleaned up and placed all their respective garbage for disposal on the sidewalk for the garbage truck to collect. However, due to the huge volume of garbage the typhoon has spawned, MMDA, says the amount is 10 times more than the regular volume. And so even at full force and utilizing all the trucks and manpower the city has, it is still not enough to be able to collect all the garbage. 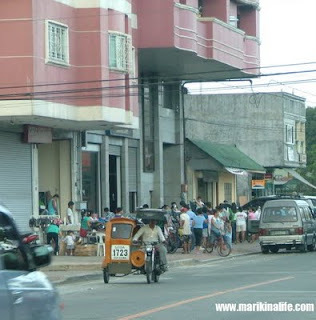 Here is footage from Tangerine and Aquamarine streets in SSS Village, near the Marikina Hotel. 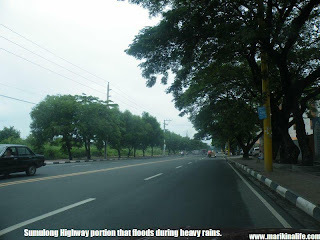 At the height of Typhoon Ondoy, Marikina River had doubled in size and the immense water from the rains and dam had the river overflow to all the nearby areas. This is one of the most disturbing and saddening videos captured during the storm. These people were literally in the middle of the river and staying alive only by standing on debris being swept by the river. The fast current was only a few feet before reaching the bridge. Unfortunately, not all of the people survived as the waters slammed into the lower part of the bridge. 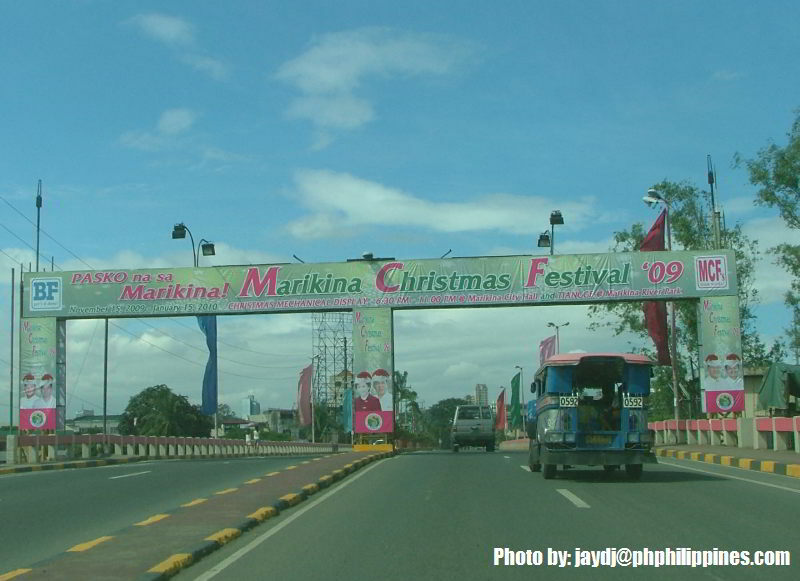 Marikina City has suffered much from the floods brought by Typhoon Ondoy. The floods have subsided in most of the affected areas. 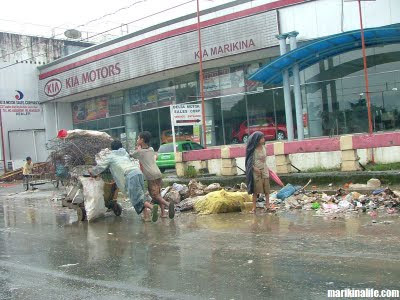 However, sanitation has proven to be one of the problems the typhoon has left. 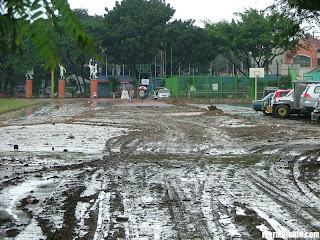 Mud is prominent everywhere and garbage is at an all-time high. Due to the enormous amount of trash, the fields alongside Sumulong Highway has served as a temporary dumpsite until the garbage trucks can pick them up. 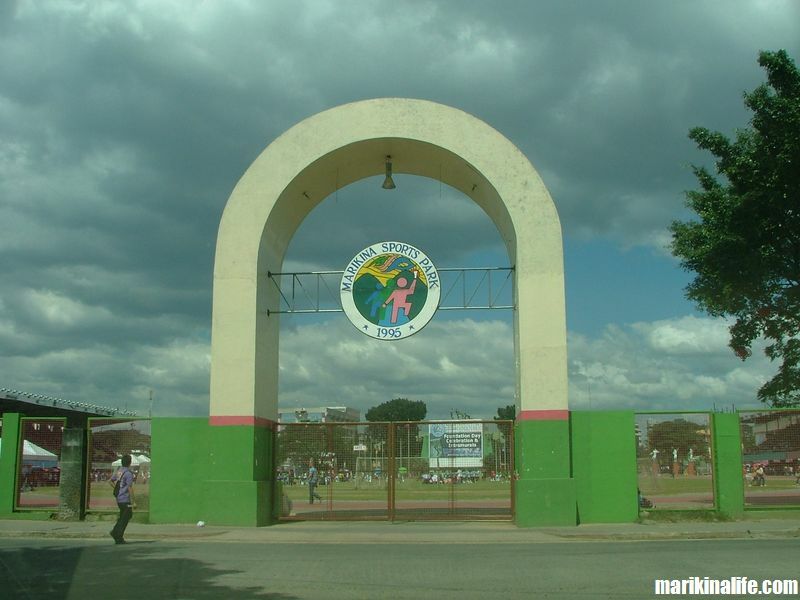 The heaps of garbage though causes a foul stench within the surrounding areas. Scavengers are also searching the garbage mounds for anything of worth they can salvage. 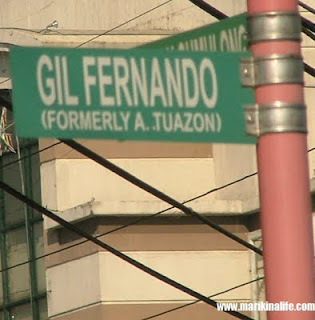 There is a new street which is set to be opened to the public soon. Cirma Street lies within Sto. 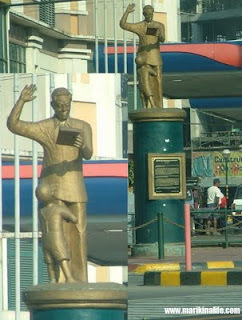 Nino and connects Toyota Street (beside Toyota Marikina) and Shoe Avenue (beside the old Rempson/Greendale complex). 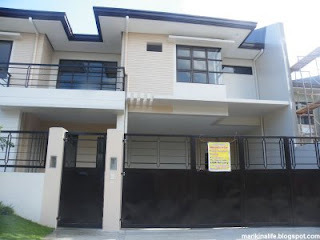 This 4-lane street extends the backroad of the Bluewave Marquinton compound and passes at the back of Metrobank Sumulong Highway and Greendale connecting to Shoe Avenue. 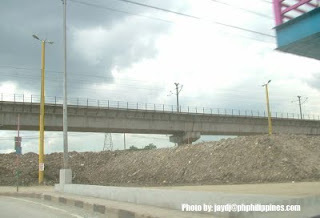 The road is expected to ease up congestion in nearby areas plus serve as additional routes for passing through the Bayan and Paliparan areas at one point and Sumulong Highway and Gil Fernando Ave. at the other point. Currently, the closed road is being used as a temporary parking lot. 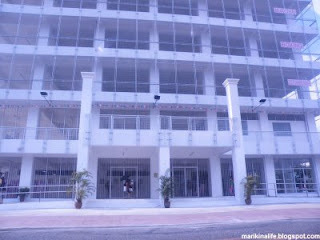 Last September 5, 2009 marked the 1st year anniversary of SM City Marikina. 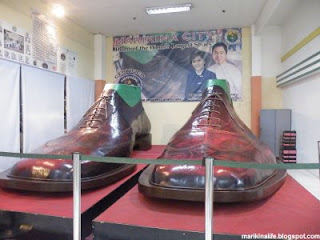 Aside from the various sales the mall gave, John Lloyd was also the special guest of honor as he visited SM City Marikina that day. 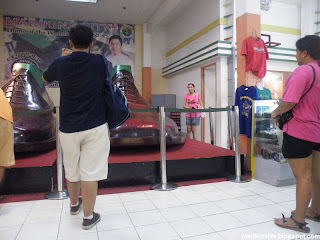 Exactly 1 year ago, when SM City Marikina inaugurated, the mall's special guest was Sarah Geronimo. What a coincidence ! Also Laila of ABS-CBN Games Update Live and 101.9 DJ also graced the event. A celebration of fireworks lighted up the mall and the Marikina Riverbanks to commemorate 1 year of SM in the city of Marikina. Happy anniversary SM City Marikina ! 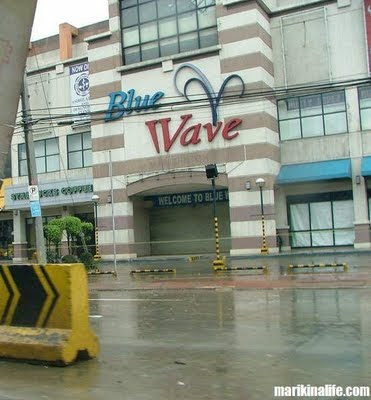 The Bluewave Parking lot just beside the Bluewave Marquinton Mall offers free parking for mall goers. 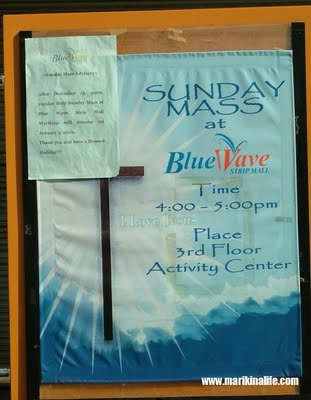 However, recently, Bluewave management enforced additional guideline on the use of their parking lot. 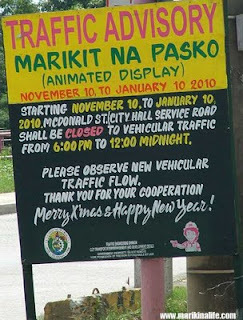 The parking lot will now be open from 10:00am till 1:00am everyday. However, overnight parking is not permitted. 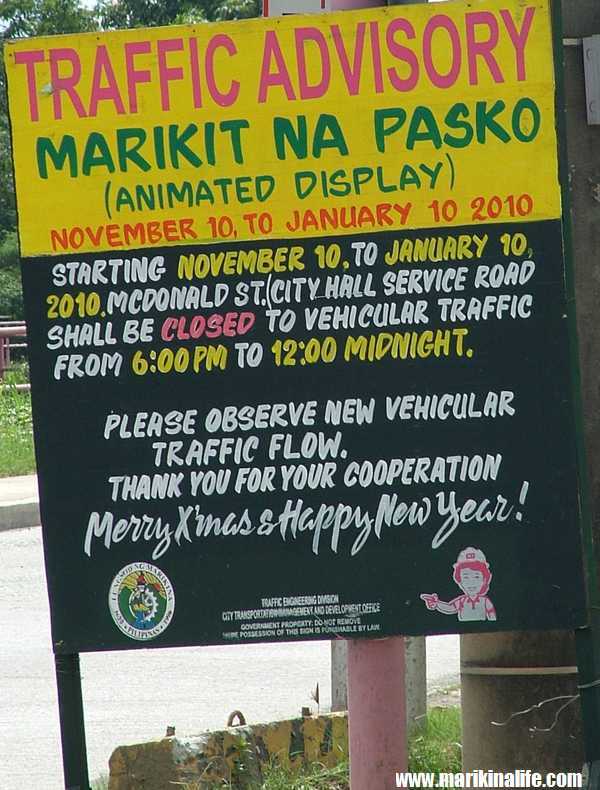 And to enforce this, a hefty fine of P5,000. will be imposed to owners who leave their vehicle after said hours. 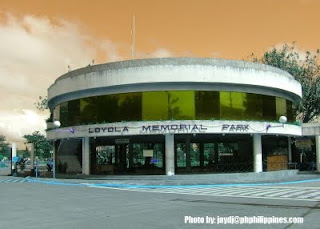 Since Jollibee, Tapa King and Starbucks all open and offer breakfast as early as 7:00am, parking is still available at the back and in front of the mall so it won't pose any problems as to finding a parking space. 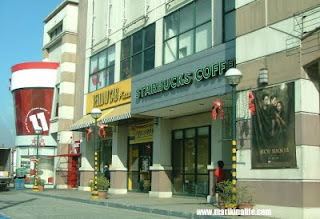 Starbucks, Yellow Cab and the movie theaters close as late as around 12:00 - 1:00am. So just make sure you check the time if you happen to watch a movie and spend a late dinner or hang around for coffee. Around this time, you could always move your car from the side parking to the front. Need to relax ? Estancia Wellness Spa is right in the heart of Rancho Estate 3, Concepcion Dos. They offer a variety of services such as half and full body massage, body scrub, foot spa, manicure and pedicure, hair spa and threading. 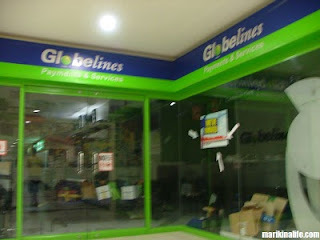 Visit them at 62 Panorama Street corner Waco Street, Rancho Estate 3, Concepcion Dos, Marikina City. They are open daily from 12 noon to 12 midnight. 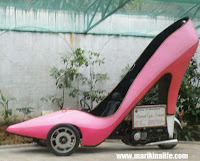 For appointments or home service, call 474-2466. Its no secret that when heavy rains pour over the Metro, Marikina River is usually part of the news updates on radio and TV. And since the Marikina River passes through several towns and cities, it is a concern to be alerted especially if you live near any stretch of the riverbanks. 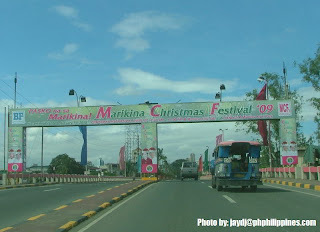 And when Marikina River's level rises, the river doubles in width. All the bikelanes, walkways and roads on both sides of the River slowly get submerged. 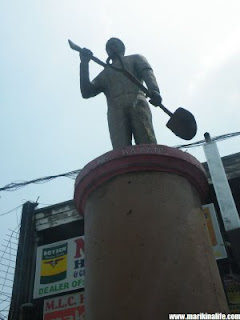 It doesn't necessarily have to rain hard in Marikina City for the river to rise as the higher areas of Quezon City, the hills of San Mateo and Montalban mountains in Rodriguez, Rizal all contribute their rainfall to the Marikina River. What is usually a calm scenic route of a river becomes a raging river with waters speeding at faster rates. As long as the rains aren't non-stop, the river goes back to its normal level in a day or two. The Marikina River: a gentle river turning into a dangerous gush in stormy weather. 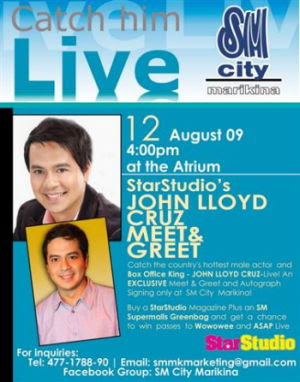 John Lloyd is scheduled for a meet and greet session at the Atrium of SM City Marikina on August 9, 2009 at 4:00pm. All you need to do is buy a Star Studio Magazine and a SM Supermalls Greenbag at get a chance to win passes to Wowowee and ASAP Live. Don't miss this great opportunity to meet one of the most popular Filipino actors live. 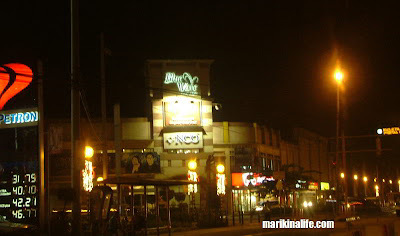 Bluewave Marquinton Mall is one of the few malls in Marikina City and what's unique about this particular mall is that within its area is the Marquinton Residences. The first two towers are finished and residents have already occupied them. The 3rd building which is currently being constructed behind the Bluewave Marquinton Mall is to be known as The Cordova Tower. Here is an audio-video presentation of the future tower. Your Song Presents "Gaano Kita Kamahal" showed scenes taken from Bluewave Marquinton, namely, the benches at the 2nd floor facing Yellow Cab and Mendez, and the 3rd floor in front of Timezone and the cinemas. Your Song Presents: Gaano Kita Kamahal is the tenth season of Your Song, a weekly series every Sunday aired at ABS-CBN after ASAP. Maricar Reyes (Amy) and Sid Lucero (Obet) are seen in various parts of the mall searching for Obet's child, Quintin Alyana (Josh). Also in the series are Jodi Sta Maria as Carmela, Rey "PJ" Abellana as Leo, Bettina Carlos as Jessa Mae, Boom Labrusca , Aldred Gatchalian as Caloy and Regine Angeles. Typhoon "Isang" has caused heavy rains all over the Metro. Even though Metro Manila isn't directly affected by the storm as there is no storm signal over the National Capitol Region, the non-stop rains over the last few days has caused the Marikina river to rise beyond normal levels. Philippine Atmospheric Geophysical and Astronomical Services Administration (PAGASA) announced that "Isang" was moving toward Hong Kong and southern China, with winds whipping at 95 kilometers per hour. Residents near the river banks of San Mateo and Marikina have been heavily affected as waters have risen from knee-deep to chest-high. Affected families have been evacuated to the Nangka public school. 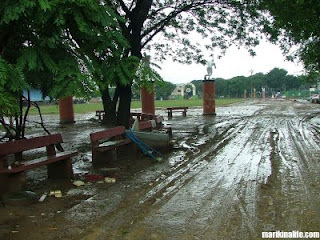 The Marikina RiverPark has doubled in width and the walkways on both sides of the river have been submerged. Floods and high waters are expected to subside as long as the rainfall decreases. Burger King Marcos Highway has been a popular stop over for a quick meal at any time of the day being open 24 hours. They've added additional parking too at the side to accommodate to more customers. Some customers (or non-customers) though have abused the parking lot which is why Burger King started implementing parking tickets for customers. Parking is free for the first 2 hours as long as you have your ticket validated at the counter upon purchase. 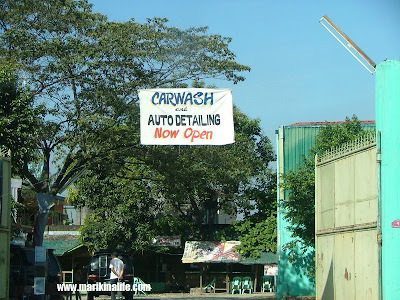 If you exceed 2 hours, a whopping P300. charge will be required. 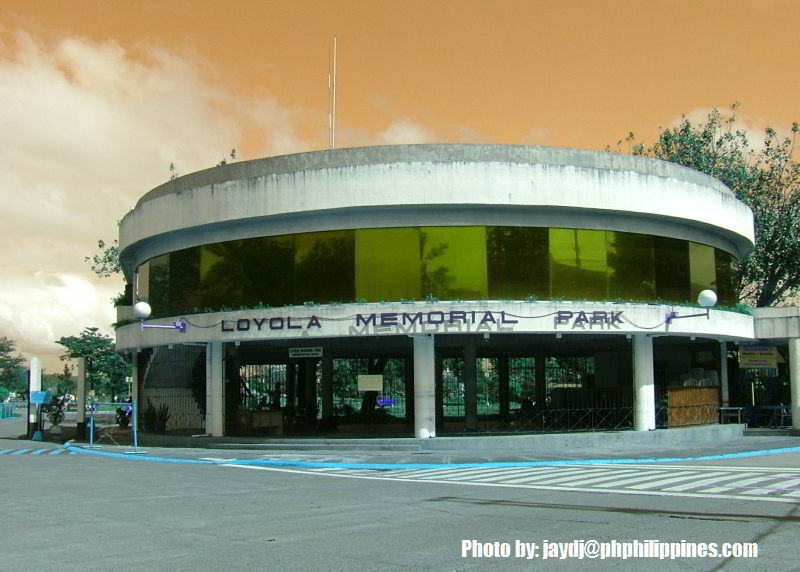 Tickets also without any validation will be charged a parking fee of P300. The hefty fee serves as a prevent measure for motorists parking too long or worse, leaving their cars at the parking lot for personal use without dining or purchasing from Burger King. 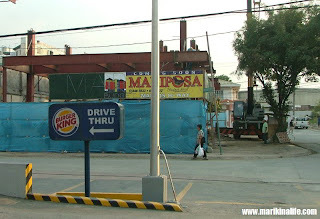 Burger King Marcos Highway is located at Block 29, Lot 1, 2-A, 3 and 4 corner Pambuli St. Marcos Highway, Marikina City. Jackie Rice visits SM City Marikina for a Maxim autograph signing on July 3, 2009 3pm at the Atrium. Get a copy of your magazine and have the beautiful Jackie Rice sign your copy today. 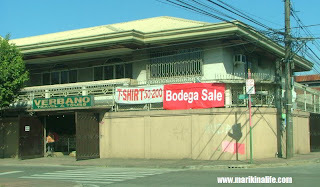 Marikina City is a valley with with the elevated Antipolo, San Mateo and Quezon City all lying around its boundaries. Even with the presence of the Marikina River, it's not enough to handle the additional downpour of water from nearby areas when it rains and even if it doesn't heavily rain in Marikina City, some places could be subject to flooding due to rushing waters from the mountains. One of the commonly flooded areas is the stretch of Katipunan Road in Concepcion Dos. 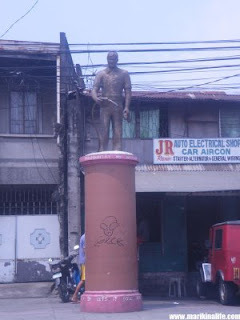 This main artery serving as a shortcut from Sumulong Highway to Marikina Heights is subject to flash floods during the rainy season. The waters usually are knee-high during initial flash floods but could go up to waist level at its deepest during extreme weather conditions. Katipunan Road has been a problem flooding area for decades. Two hospitals, namely, SDS Medical Center and Immaculate Concepcion Hospital, are right at the center of the flood which stretches from the corner of Tangerine St. to Rainbow St. The floods extend to Aquamarine St. and Russet St. rendering them virtually impassable to light vechicles. The major improvement through the past years is that the flash flood easily disappears in 1-2 hours as soon as the rains stop. 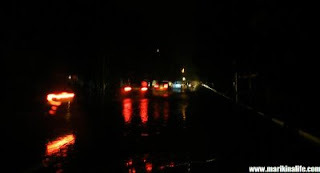 Being a main road though, it causes a major standstill as motorists park their cars at the Katipunan-Sumulong road while waiting for the waters to subside. 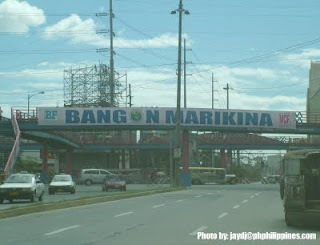 Let's hope Marikina doesn't experience much flooding this rainy season. SM CyberZone, the most wide-spread and comprehensive IT center in the Philippines, will play host to MSI's latest and slimmest creation, the MSI X Slim X340. In a series of roadshows spanning June and July of this year and covering both Luzon and Visayas, MSI will expose the X340 to geeks and gadgeteers, the gregarious and the merely fashion-conscious, with the help of SM CyberZone's various locations, including SM City Manila, SM City Marikina, SM City Cubao and SM City Cebu. The X340 is an Intel CULV (Consumer Ultra-Low Voltage) toting, super-slim laptop which is only 6mm at its thinnest. Boasting of a 13" 16:9 widescreen display, GMA4500 graphics, a capacious 320GB hard drive, and a full connectivity suite that one-ups other slim-but-compromised products at a much-reduced cost, the MSI X Slim X340 is the latest entry in the designer portable races, and it can best be savored at the CyberZone nearest you. The MSI X Slim Series CyberZone roadshows will be held according to the following schedule: June 26 to July 2 in SM City Manila and SM City Marikina; July 3 to 9 in SM City Cubao; and July 17 to 23 in SM City Cebu. Various MSI products, most notably the MSI All-In-One AE1900 Touch Screen desktop system, will also be appearing alongside the X340. Check out the series of events and join us as we challenge the limits of ultra slim notebook technology. After creating such an impression on the SEA media, end users will surely find the phenomenal MSI X Slim irresistible and affordable! The X Slim embraces a simple and modern design concept and meanwhile features the most advanced multimedia and power saving technology for its size. Dubbed as the world's lightest and slimmest 13" notebook since its debut in CES in January 2009, the MSI X340 is 6 mm at its thinnest and 20 mm at its widest, weighing only 1.3 kilograms with battery. The X340 has a 13" LCD display as opposed to the 12" or smaller sizes available in the competition. This provides more comfort in reading and during operation as well as having less of a weight constraint compared to the 14" models. The X340 is also embedded with IEEE 802.16e WiMAXâ„¢ wireless module (optional), which highly elevates the variety of wireless Internet service available to the X340 user, allowing online experience to be faster and more mobile. Estimated pricing for MSI X340 is Php 49,999.00, now available locally from MSI dealers and resellers. 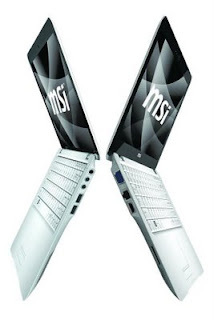 If you need more product information, please visit http://www.msi.com.tw or call NetEssentials, MSI Notebook's exclusive distributor in the Philippines at (02) 721-1981 to 83. 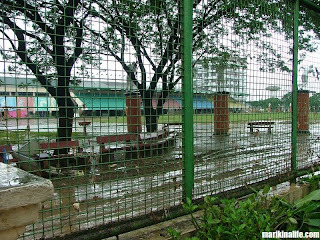 If you're familiar with the Marikina Sports Center, you know that the entrance and exit gates are at the side of McDonalds St. facing McDonalds. Now, these gates are closed and a new entry-exit has been opened at the ground floor of the newly erected Sports Building. The new entrance now faces the back of City Hall. Preparations within the last weeks have been speeded up to open the ground floor of the new building to connect to the inside of the Sports Center. 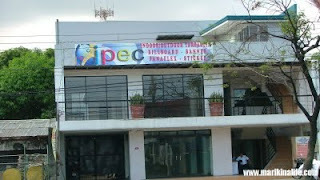 Entrance fee for the Sports Center is still P10.00 and free for senior citizens. 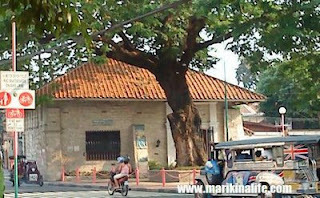 If you visit Marikina, you'll notice that there is an abundance of hospitals. 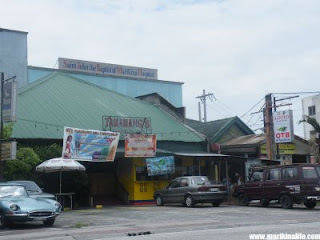 I mentioned before that I noticed from Sumulong Highway, there are at least seven hospitals within a 2 kilometer radius. 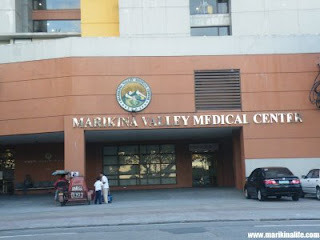 Among those hospitals, Marikina Valley Medical Center is one of the newest ones. 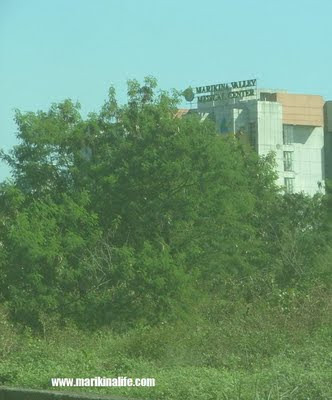 Marikina Valley Medical Center is located along Sumulong Highway, and walking distance to Bluewave Robinsons Supermarket and Bluewave Marquinton Mall. It's a 7 storey twin stucture building. 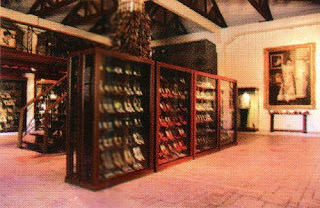 Tagging their motto as Quality Health Care in the "Shoe Capital", they offer the following services: surgery and anesthesia, labaratory, radiology, physical therapy rehabilitation, opthalmology services, hemodialysis, dental services, pediatrics, ob-gynecology, emergency medicine and family medicine. They have over 35 departments. A long list of doctors, their specialties and their schedules can be found here. 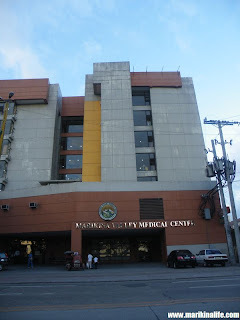 Marikina Valley Medical Center is located along Sumulong Highway corner Aguinaldo St., 1800 Marikina City with telephone No. 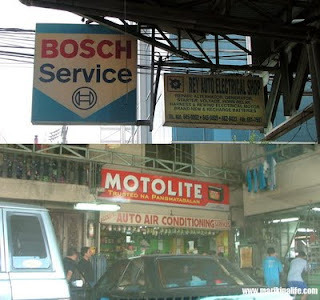 : 682-2222 connecting all departments and 645-MVMC (Emergency Room). Telefax No. is 682-3399. Just as we said goodbye to Superbowl of China at the Bluewave Marquinton, I just saw an ad of Joey Pepperoni Pizzeria that they will soon open a branch at Bluewave Marquinton. That's great news ! Currently, there are two restaurants at Bluewave serving pizza, Shakeys and Yellow Cab. 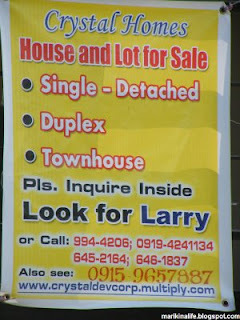 There's no news yet where in Bluewave will Joey Pepperoni be setting up, but right now, there are only 2 vacant spaces at the ground floor. 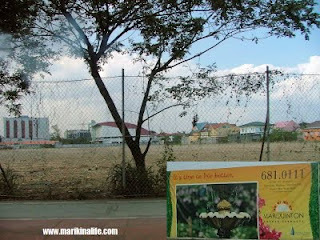 These are where Superbowl of China used to be (at the front between Starbucks and Shakeys) and the former lot where Pancake House used to be (in front of Petron gas station and beside Tapa King). I've dined before at their RFM Pioneer branch in Mandaluyong and having personally tasted their pizza, I have to say that I'm personally looking forward to their future home in Marikina. They have an ongoing 50% off promo on all their pizzas from 2-6 p.m., everyday! For low prices starting at P133, you can have a full 12-inch pizza! Check out their branches at RFM Pioneer, Salcedo Village, Level 4 Robinsons Place Manila, Foodstreet, SM Southmall, SM Mall Of asia, Fairways Tower at The Fort and SM Mezza Residences.